Lora Nikolova is born in 1982 in Sofia, Bulgaria. After a successful graduation in Scenography in the National Academy of Arts in Sofia, she decides to continue her studies in Italy, where she actually lives from 2004. In 2008 Lora graduates for the second time from the Academy of Fine Arts of Brera in Milan, where she specializes in set design for cinema and television. During her studies, she works in the fashion field, collaborating with Jil Sander, Burberry and Versace. She collects experience in the field of applied arts by cooperating with the theatre tailor factory Sartoria Brancato in Milan creating pieces of theatre costumes and Paper – mache masks for world famous performances. With Zucca Studio she collaborates as an assistant set designer for the realization of television commercial sets. She paints with acrylics and draws graphics with surreal themes, with which she has participated in various group exhibitions in Italy like Luogi Diversi in Palazzo Terragni/Lissone and International Review of Contemporary Art Report 23 by the Scalvini Museum, Desio. But undoubtedly her greatest passion remains jewelry. 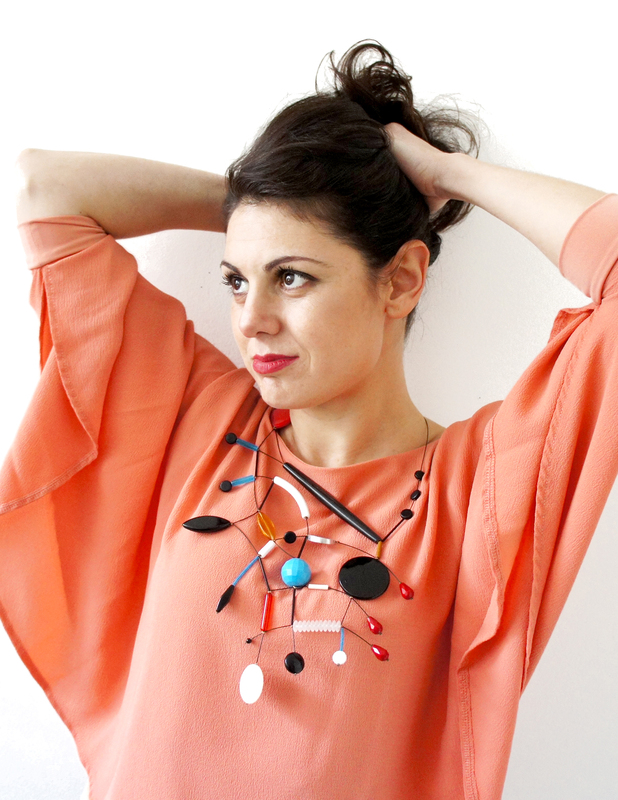 She collects experience working as a designer of faux bijoux for jewelry design studio Poma and has the opportunity to participate and expose her creations in numerous exhibitions. Among the different experiences, Lora works as a stylist of still life photography sets mainly for interiors, which images have been published in special architecture and design magazine editions. After various personal exhibitions, some of which “Bijoux in art” at gallery Melting Poet and “Racconti di mare” (“Stories about the sea” ) at Gli Eroici Furori Art Gallery in Milan, Lora opens her own creative studio currently situated in Alzaia Naviglio Pavese 120 in Milan. There she develops and improves her passion for jewellery, exploring the process from design to elaboration, until the distribution through stores and showrooms. From June 2015 the brand is supported by press office T- Teresa La Fosca, who contributes for the advertising among various fashion editorials and the diffusion of the brand . In December 2015, Lora Nikolova is requested to design and create a series of paper jewellery for the fashion brand Ultrachic and their new collection AW 2016/17.